In a typical group of 100 employees, 29 have obesity, 21 have high blood pressure, 17 have high cholesterol, and 9 have elevated blood glucose. These are the average health risks for most adults. Some worksites are worse than others. The majority of working adults have at least one of these health risks, most have more than one. Employees who have the highest risk for cardiovascular disease have all four risk factors. This is also known as metabolic syndrome. The high prevalence of elevated health risks is one reason why adults have more chronic diseases now than ever before. Employees with elevated health risks are more likely to be absent from work and have worker’s comp claims and higher health care costs. The dangers of having elevated health risks are why worksite wellness programs encourage employees to do biometric screenings. These “know your numbers” campaigns help employees identify elevated health risks. Typically, an employee who has recently received their biometric data will get a chance to visit with a nurse or a health coach. The results will be discussed and some recommendations will be made. Typically, the employee will walk away with a brochure and encouragement to visit with a primary care provider. Knowing your numbers is a great practice for all adults, but in worksites, getting screened is just the first step. It’s what comes after the screening that is so important. This is the vital piece almost all worksite wellness programs are missing. 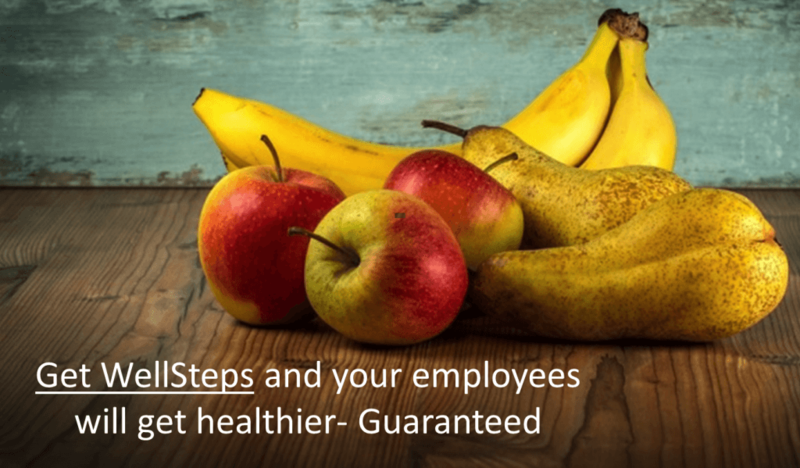 Wellness programs are great at helping employees “know your numbers”. What they are missing is interventions designed to lower health risks. That’s what therapeutic lifestyle change does. Employees with elevated health risks will be encouraged to seek medical attention. The proper medical treatment protocol for elevated cholesterol and blood pressure is to first start with therapeutic lifestyle change (TLC). This is a fancy way of saying adopting and maintaining a healthy lifestyle. This is the correct approach to take with elevated health risks because, after all, the elevated health risks are almost always just a symptom of unhealthy behaviors. If individual employees with elevated health risks adopt and maintain habits that include good nutrition and regular physical activity, meaningful improvements in their health risks will occur. In worksites and doctors offices, most employees never hear about TLC. Sometimes employees are given some encouraging conversation, motivation, and perhaps a chance to visit with a health coach. Most of the time, they are given a prescription for a risk lowering medication will need to be taken for the remainder of their lives. There are very few options to engage in therapeutic lifestyle changes within most worksite wellness programs. Even the medical community is slow to promote TLC. Doctors are not reimbursed to have conversations with their patients. Many doctors don’t spend much time talking about healthy lifestyles with their patients because they don’t believe patients will actually change behaviors. Worse, even if a physician did want to discuss TLC with his or her patient, there are few formal TLC programs. To help employees with elevated health risks, most wellness programs offer challenges, campaigns, courses, or coaching designed to help employees and their significant others improve nutrition habits and exercise patterns. Unfortunately, these relatively simple offerings aren’t always sufficient to help employees make large, sustainable improvements in elevated health risks. The hardest thing for people to do is to change behaviors. Elevated blood cholesterol, blood pressure, and blood glucose doesn’t just happen overnight. These elevated health risks develop over decades of exposure to unhealthy lifestyles. Since it takes decades to develop these elevated health risks and the habits that precede them, reversing the process takes concerted, long-term effort. Therapeutic lifestyle change is a set of tools, diet information, ideas, and programming designed to help individuals lower elevated health risks. TLC programs help individuals reduce the risk for heart disease by helping them eat a health promoting diet and being active. A TLC diet is low in saturated fat, trans fat, and dietary cholesterol. An effective TLC program is more like a workshop or online course than a simple wellness challenge or brochure. A good TLC program is a in depth immersion into why and how a healthy lifestyle can reduce elevated health risks. Here’s what some of the research shows about the impact of TLC. There is even evidence that a TLC program is helpful in the treatment of depression and diabetes. Employees who will decrease their saturated fat to less than 7% of total calories can reduce their LDL-cholesterol by 10%. Here are the documented effects of therapeutic lifestyle changes on blood cholesterol. Done right, therapeutic lifestyle changes are effective at reducing elevated cholesterol, blood pressure, blood glucose, and body fat without medication. How Can Employees Participate in a TLC Program? The National Institutes of Health have produced a nice brochure that describes the various components of a TLC program, but again, this is just a brochure. Employees need an organized, comprehensive, easy to follow program that takes them through everything they need to lower their elevated health risks. Effective TLC programs are thorough. They teach individuals all the specific skills and tools they need to make dietary changes that last. They also help individuals overcome the common barriers to healthy eating and regular exercise. They are grounded in behavior change science. Staying true to the the earlier research and current science, WellSteps has developed WellSteps TLC. WellSteps TLC is a lifestyle change program that consists of extensive behavior change programming that specifically targets employee nutrition and physical activity. The WellSteps TLC program consists of 17 behavior change video modules. Each TLC module includes behavior change tasks, and social support. Participants can participate via computer or using any mobile device. Each module is interactive and participants must complete simple behavior change tasks before they can progress to the next module. Each time employees participate they can interact with others who are working through the same lifestyle transformation. The program includes healthy recipes, cooking and food shopping ideas, and discussions from behavior change experts. If an individual still has elevated health risks after participating in TLC, it’s time to visit with a healthcare provider about starting a regimen of risk-reducing medications. Medications are effective at reducing elevated health risks, and they have the ability to reduce the prevalence of chronic diseases. However, medications do not address the underlying problem: unhealthy behaviors. Good health and a long, high-quality life requires a healthy lifestyle. TLC is the first step that everyone should be taking to improve their health. If those efforts fail it’s time for employees and their spouses to work with their healthcare provider to get more aggressive. Worksites are not the first groups to deploy a therapeutic lifestyle change program. A few years ago, I conducted a randomized clinical trial with over 300 people who were part of a TLC program. Half of the people participated in the TLC program and the other half waited for six months before they could begin. TLC program participants learned why and how to have a healthy lifestyle. Participants dramatically improved the number of daily fruit, vegetable, and whole grain servings, and they reduced their intake of saturated fat. They also increased their physical activity by 25%. We were stunned to learn that health risks could improve dramatically in as little as six weeks. Those who maintained healthy behaviors experienced lower health risks for six weeks, six months, 12 months, and even out to 18 months after this program began. Participants learned how to successfully adopt and maintain healthy lifestyles. Their diets changed and their physical activity habits improved. But it gets better. The individuals who were at risk at baseline and participated in this program saw significant decreases in hypertension, blood cholesterol, and blood glucose. Most of the participants demonstrated significant weight loss as well. This study has been reported in multiple scientific journals. Therapeutic lifestyle change programs are a proven, effective way for wellness programs to dramatically improve employee health. The goal of TLC is to help employees improve health as they prevent, arrest, and in some cases, even reverse chronic disease. Therapeutic lifestyle change programs will help employees start taking small, daily steps that will transform their health. TLC programs are much more challenging than most wellness activities. Each module takes some time and effort because long-term behavior change takes time and effort. On average, it takes employees 10 weeks to complete the program. Because the program is so intensive, many employers will use TLC as the only wellness task employees have to complete to earn their wellness incentive. Most likely, a good TLC program will be the most effective behavior change program you offer as part of your wellness program. As employees participate in therapeutic lifestyle changes, their health will improve and employers will be happy, healthy, productive employees. WellSteps TLC is the most expensive and comprehensive wellness activity we’ve ever produced. Current WellSteps customers get it for FREE when they purchase any of our wellness solutions. To make your wellness program as effective as it can be consider implementing a robust therapeutic lifestyle change program. Learn more about WellSteps TLC here. You can build your own or you can contact us and we’ll show you how it works.